Power plants, which use 93 percent of the coal produced nationally, have been operating under the same EPA regulations signed into law by President George H.W. Bush in 1990. 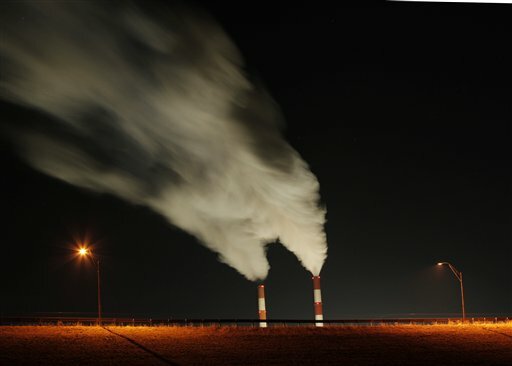 Proposed new rules since then have all been challenged in court and not implemented until June 2016, when the EPA’s restrictions on mercury and other toxic emissions were approved by the U.S. Supreme Court. Some people attribute the decline in coal-generated electricity to the EPA’s air-quality rules, even calling it ‘Obama’s war on coal . While we can’t say that the EPA rules have no impact — as, for example, discouraging the building of new coal power plants because of the expectation that tougher air-quality rules will clear the courts — the data say the EPA rules have not been the driving force. If you’re a power plant operator and you see gas supply is continuing to increase and natural gas can do the job cheaper–by a lot–the decision to switch from coal is pretty easy. As we look toward the future, we see no natural mechanisms that will permit coal to recover. Here’s an idea … instead of spending all of their time just complaining about U.S. Environmental Protection Agency rules, a couple of groups in West Virginia have put their heads together to come up with recommendations for how the state could comply with EPA’s proposed Clean Power Plan. You can read the new report — just out this morning — from the West Virginia College of Law’s Center for Energy and Sustainable Development and Downstream Strategies here. Achieving compliance with the Clean Power Plan presents a number of challenges for West Virginia. The state’s heavy reliance on coal-fired electricity generation and the importance of the coal industry in the state economy mean that West Virginia will bear a disproportionate impact from the proposed rule as less coal is burned at power plants within the state, and as other states that have historically imported West Virginia coal reduce their consumption. Burning less West Virginia coal at power plants—both within West Virginia and around the country—means fewer coal mining jobs and reduced severance tax revenue for the state and municipalities. While these challenges appear stark in the face of carbon pollution mandates, they have persisted in West Virginia for decades and in recent years have grown increasingly more pressing as market forces converged with increasingly stringent environmental regulations. West Virginia is uniquely positioned to adapt to these changes and meet the many challenges facing the Mountain State. 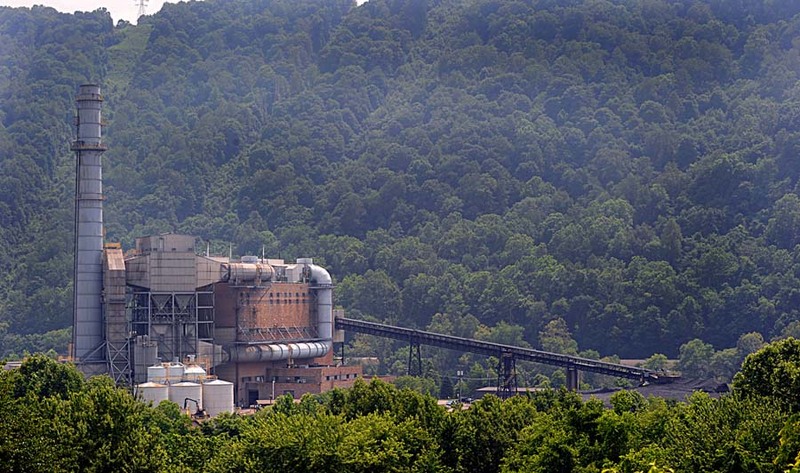 While West Virginia power plants must reduce coal consumption to comply with the Clean Power Plan, the state’s utilities can at the same time make new investments in other energy resources developed in West Virginia. Policymakers in West Virginia can mitigate the negative impacts of the Clean Power Plan and take advantage of the opportunities it presents by utilizing the full flexibility provided by the rule to shape a strategy for West Virginia that reflects its unique circumstances and leverages its strengths. West Virginia is fortunate in that it has tremendous energy resources in addition to coal, and these other resources—including natural gas, renewable energy (wind, solar, hydropower), and energy efficiency—are relatively untapped. Implementing the legislative and regulatory policy recommendations in this report would create a climate that promotes new investment in renewable and distributed generation technologies, energy efficiency, and natural gas–fired generation. By spurring innovation and diversifying the state’s electric power sector, Clean Power Plan compliance would reduce carbon pollution and provide West Virginians with energy savings and new economic opportunities. We’ll have more on this later, and there’s also a piece on it out this morning from West Virginia Public Broadcasting. June 11, 2015 by Ken Ward Jr.
Gazette photo by Lawrence Pierce of the Kanawha River Plant in Glasgow, W.Va.
There’s been a fair amount of hand-wringing about the planned closure by American Electric Power’s Appalachian Power subsidiary of the Kanawha River, Philip Sporn and Kammer power plants (see especially Daily Mail stories here and here). Several years after the company’s decisions were announced, all this consternation led staff over at the state Public Service Commission to ask the PSC to investigate the closures. Lawyers for Appalachian Power responded initially by pointing out that they have actually already provided the commission with a great deal of information on the matter as part of several previous cases. That wasn’t good enough for the PSC, and commissioners ordered the power company to provide more details. Appalachian lawyers did that yesterday, providing this 90-page filing. — Almost all of the operating employees of the Disposition Units have been reassigned or have retired or taken severance. — Compliance with the MATS Rules would require significant construction work. 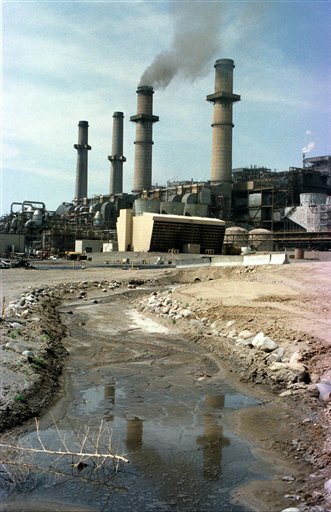 It might be possible for Disposition Units to meet the requirements of the MATS Rule by constructing Selective Catalytic Reduction (“SCR”) and Flue Gas Desulfurization (“FGD) systems … The installation of SCR and FGD systems would require installation of material handling systems, wastewater treatment systems, Absorber vessels, new ductwork, new stack exhausts, and numerous other systems. APCo has not undertaken any design work for SCR or FGD systems for the Disposition Units because the costs were deemed to be prohibitive, in light of the age and condition of the units. — Because of the time for the construction of such systems, any Disposition Units at which it was decided to construct these systems could not be returned to service for a minimum of approximately five ( 5 ) years from the date such construction projects were begun. — The Company has not performed any detailed cost estimates because the order of magnitude of the costs was so tremendous that APCo deemed it imprudent, given the age and condition of the Disposition Units, to have its customers bear such costs, particularly over the comparatively short anticipated lives of any of the conversion or retrofit projects discussed above. FirstEnergy Corp. (NYSE: FE) subsidiaries Mon Power and Potomac Edison, along with the majority of the parties to the companies’ generation transaction proceedings involving the Harrison Power Station, today filed a comprehensive settlement agreement with the Public Service Commission (PSC) of West Virginia, which, if approved, would be expected to reduce an average residential customer’s electric bill by about $1.50 a month. We appreciate the support of the parties in reaching this agreement, and look forward to implementing our cost-effective plan to provide our customers with electricity generated in the heart of our service territory. Having 100 percent ownership of the Harrison Power Station will help shield our customers from unpredictable spot market prices and help provide greater rate stability for years to come. — The deal still needs to be approved by the West Virginia Public Service Commission, and at least one party that’s been very opposed to the transaction — the West Virginia-Citizen Action Group — remains opposed. — Initially, FirstEnergy had proposed a rate hike amounting to $63 million annually for Mon Power customers, to cover the costs of the Harrison Plant deal. Now, the company is agreeing to instead reduce rates by about $16 million a year, which amounts to $1.42 per month for residential customers. But those rates aren’t set in stone forever, and they could change starting in 2015, depending on any variety of factors. — While perhaps at least temporarily improving the rate picture, the settlement does not really address the concerns from groups like the Sierra Club (which has tentatively approved the settlement) or WV-CAG that the plant transfer would further lock West Virginia into coal-fired power, at a time when a variety of factors are chipping away at coal and making it less competitive. — FirstEnergy touts all kinds of things it’s going to do under the settlement — creating 50 new jobs in West Virginia, giving money to teach energy efficiency in our public schools, etc. — but the bottom line is that the energy efficiency improvements FirstEnergy is committing to here (reductions of 0.5 percent between 2013 and 2018) amount to not that great of a jump compared to what other states are doing. Also worth remembering is that this is one of two coal-fired plant transfer cases pending before the West Virginia PSC. Recall that Appalachian Power’s proposal concerning its John Amos and Mitchell plants received a major setback in Virginia. West Virginia utility commissioners have asked for more information about that ruling, and they’ve moved back the dates for legal briefs in that case … so stay tuned. This is a special guest post, cross-posted from the Energy Forward Blog at the West Virginia University College of Law’s Center for Energy and Sustainable Development. As reported by Ken Ward Jr. in the Charleston Gazette, a number of questions are being raised about FirstEnergy’s proposal to transfer ownership of 80% of the Harrison coal plant to Mon Power. The Harrison coal plant is a huge, 1984-megawatt (MW) facility built in the early 1970s in Haywood, West Virginia. Mon Power currently owns 20% of the plant, and the remaining 80% is owned by an unregulated FirstEnergy affiliate, Allegheny Energy Supply Company. Due to coal plant closings, Mon Power is purportedly 938 MW short of capacity, and is proposing to acquire the 1576 MW installed capacity in Harrison that it does not already own. (As part of the deal, Mon Power is proposing to sell 100 MW of capacity in its Pleasants Power Station to AE Supply, for a net capacity addition of 1476 MW.) Approval of the proposed deal is currently pending before the West Virginia Public Service Commission (PSC). May 8, 2013 by Ken Ward Jr. There was a flurry of activity yesterday afternoon in the wake of FirstEnergy Corp.’s quarterly conference call with stock analysts, with hints from some citizen bloggers that the company was on the verge of dropping its proposal to transfer the Harrison Power Station to its West Virginia subsidiary, Monongahela Power. Tony seems to be sending signals that FirstEnergy may be dropping their Harrison power plant transfer to Mon Power. Bill has since edited the headline to say, “CEO Alexander Spinning on Harrison Scheme,” and has a more detailed post that puts a more thoughtful perspective on things. After listening to the call yesterday and reading the transcript this morning, I’m not at all sure the news is nearly as big as folks were making it sound. But there is an interesting change in FirstEnergy’s talking points that is important in the context of the FirstEnergy and American Electric Power “asset transfer” cases pending at the Public Service Commission. You can read the transcript yourself here, but I’ll try to summarize. Our financial plan is structured to improve the balance sheet, enhance liquidity and maintain investment-grade credit metrics. The plan initially focuses on reducing debt at our competitive companies, primarily FES and Allegheny Supply, by at least $1.5 billion. The proceeds of the Harrison-Pleasants transaction in West Virginia combined with asset sales are expected to be sufficient to fund the debt reduction. The assets we intend to sell are primarily our competitive hydro fleet, which includes nearly 1,180 megawatts that were initially in our plans to be sold in 2015. It’s not “to help ensure reliable power for our Mon Power and Potomac Edison customers in West Virginia for many years to come,” it’s to raise desperately-needed corporate cash that West Virginia’s captive ratepayers will be stuck repaying for years to come. Let’s at least be honest about it, shall we, FirstEnergy? May 1, 2013 by Ken Ward Jr.
There’s been a little bit of news over the last few days in the two big cases involving major power companies trying to transfer ownership of several of their coal-fired power plants to West Virginia subsidiaries — an issue that promises to only heat up as hearings scheduled for May and July before the state Public Service Commission approach. 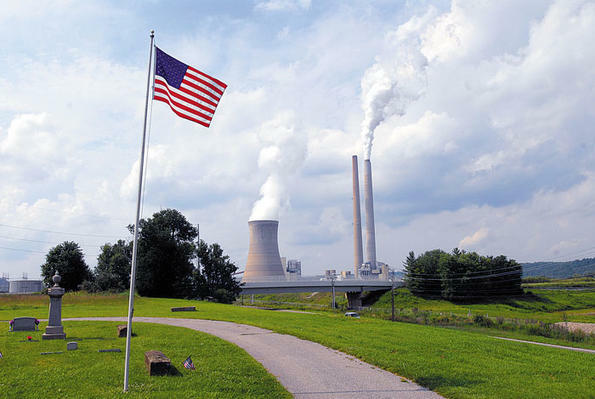 In its petitions for West Virginia and Virginia approval to transfer parts of the Amos and Mitchell coal-fired power stations from Ohio subsidiaries to Appalachian Power, AEP announced May 1 that federal regulators have no objection. While AEP did issue a statement announcing the Federal Energy Regulatory Commission’s decision, the State Journal put an unfortunate headline on its story saying “Feds clear way for transfer of Amos and Mitchell to ApCO.” I’m not sure there’s really all that much to this FERC decision. The real ball game is before the state Public Service Commission. And in the other power plant sale case, involving FirstEnergy’s Harrison Power Station, a huge collection of testimony from PSC staff, the consumer advocate and various intervening parties hit the commission on Friday. You can read it all yourself by visiting the PSC’s website and searching for Case 12-1571-E-PC. 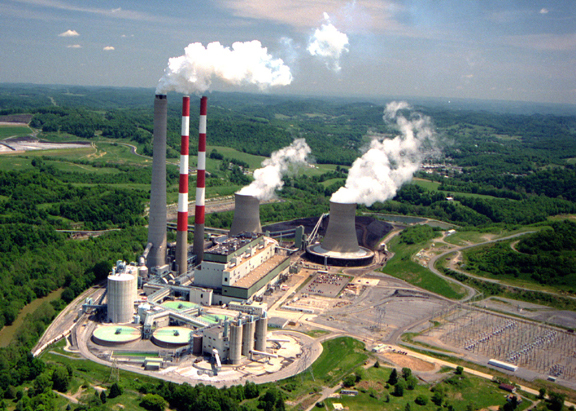 Cynical observers have suggested this proposal, and a similar proposal from Appalachian Power, are motivated for the two Ohio-based utility companies by a desire to move coal-fired power assets out of their Ohio utilities’ portfolios, where deregulation now forces them to compete, to West Virginia’s regulated market where the commission will guarantee the companies a return from ratepayers for the coming several decades. “The transaction represents an effort to bail out the companies’ unregulated affiliates,” said PSC Consumer Advocate Byron Harris flatly in his testimony. An alternative plan with energy efficiency and demand response, plus purchases from the market as needed, would cost $510 million less through 2034 than the proposal, in Schlissel’s analysis. “Obtaining needed capacity and energy from the Harrison plant through the proposed (generation resource transaction) is the most expensive option,” he said. Mon Power could care less what coal the company uses, as long as it is cheapest and meets the company’s needs, not those of WV … So, if the WV PSC approves the FE Harrison plant scheme, the Harrison plant will not operate any differently from the way it operates now, when 80% of the plant sells power on the open market using FE’s non-utility generating company. 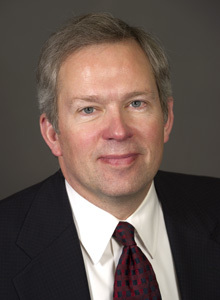 April 16, 2013 by Ken Ward Jr.
Make no mistake, Appalachian Power is committed not only to enhancing energy efficiency, but to diversifying our fuel sources. We are today and intend to continue making investments on both those fronts. However, neither of those goals should deter us from pursuing the best short- and long-term interests of our customers. Appalachian Power has a responsibility to provide power to customers in the most reliable manner at the best possible cost. The proposed transfer of Mitchell and Amos plants does just that. Public Service Commission staff members and the agency’s consumer advocate already are raising serious questions about the proposals. Also, a growing number of various interest groups, from environmental organizations to gas industry lobby groups, have intervened in the two cases pending before the PSC. 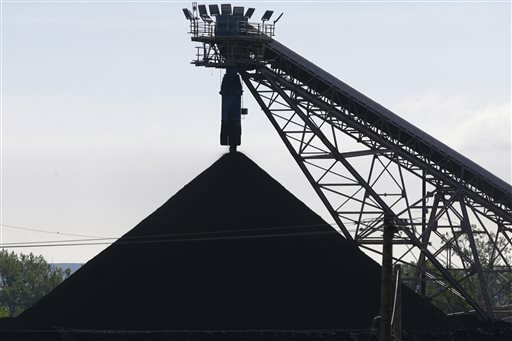 A growing number of critics say the deals would lock West Virginia into relying on coal, a polluting fuel whose role in U.S. electricity production is in decline as world energy markets are in flux. The proposals are shaping up to be a major fight over the future of coal — and over a variety of other important energy issues, from efficiency and reliability to global warming. “We’re at a turning point,” said Bill Howley, a Calhoun County resident who follows energy issues and advocates changes to the system on a blog called The Power Line. If you can’t dazzle them with brilliance, baffle them with BS. 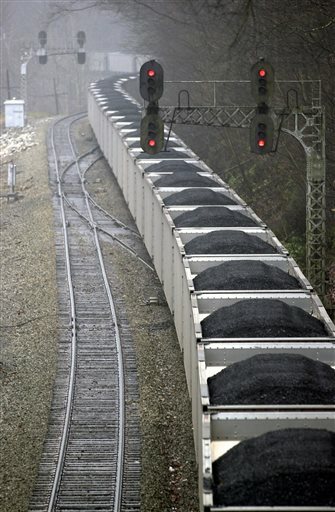 That seems to be AEP’s approach to dumping its coal-fired dinosaurs on WV rate payers. For the second year in a row, Bill Raney and the WV Coal Association butted in on a Legislative conversation about keeping electric rates lower for West Virginians. For the second year in a row, the coal industry manipulated and fear-mongered and got its pet legislators (both Republicans and Democrats) to kill bills that would have made a real difference for WV businesses and citizens. One thing is crystal clear – WV’s coal industry sees lower electric rates as a clear threat to their profits. The industry wants to hold back the entire state in its desperate battle against declining productivity, rising production costs and declining demand for its product. Wyoming’s sub-bituminous coal does not have the heat content of Appalachian Basin coal, but even with high transportation costs, Wyoming coal is out-competing WV steam coal in the US in a growing number of electricity markets. Appalachian Basin coal is also facing serious competition from high sulfur, strip mined coal in southern Illinois. 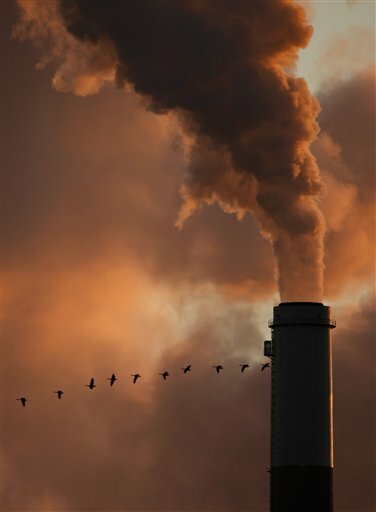 Now that the Cheney administration set aside the Clean Air Act, obsolete power plants, like WV’s John Amos plant and the Harrison Power Station, have been able to add stack scrubbers. These plants can now burn high sulfur coal again and still generate legal limits of sulfur and nitrogen emissions. And more and more of that high sulfur coal has been coming from strip mines in southern Illinois and western Kentucky. So the real enemies of WV coal are not the phantoms of the WV Coal Association’s fevered imagination. The real enemies of the WV coal industry are in the industry itself. And, oh yeah, many of them, like Arch Coal and Alpha Natural Resources, are producing coal in Wyoming and Montana while they play WV politicians and coal miners for chumps. February 18, 2013 by Ken Ward Jr. There are legitimate reasons to be worried about climate change. Global energy consumption is so great and rising so fast that human activities are linked to climate change. Sea levels are rising, storms are becoming more frequent and stronger, and large parts of the United States and other countries are now subject to extreme drought, resulting in less food production. With its ambitious plans for promoting energy efficiency and expanding the use of renewable energy sources in the fight against global warming, the Obama administration has climbed aboard the biggest bandwagon in energy policy. But the idea that a modern economy can forgo the use of fossil fuels and nuclear power because a combination of conservation and “clean” energy sources can take their place is absurd. The biggest bandwagon in energy policy? Conservation and “clean energy” are absurd? 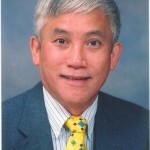 Well, we’ve been through the debunking of Dr. Peng before on this blog (see here and here), and this offering is in many ways similar to his early efforts. In attacking conservation as pointless and deriding a move toward renewable energy as “absurd,” Peng cites no data or studies. We’re just supposed to believe it because, well, he says so. 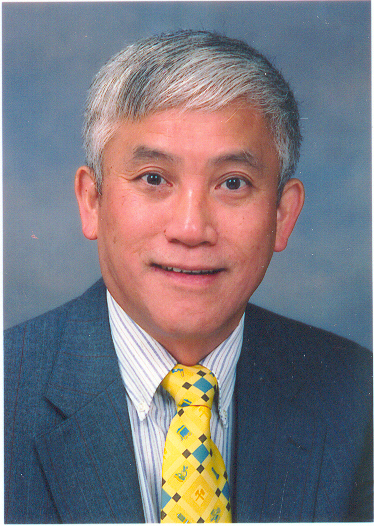 And plenty of West Virginians — and especially our state’s policymakers — will do just that, because Professor Peng’s views play into our love of coal and our opposition to change. But for those who want to look a little closer at this, here are just a few things to think about. … Energy efficiency measures — such as advanced buildings and industrial processes— and high-efficiency appliances, lighting, and motors reduce demand for electricity by 35 percent below the Reference case by 2030. And what about Professor Peng’s notion that replacing our current energy system with renewable sources is “absurd.” Well, again, he doesn’t cite any data or studies or evidence. But there are plenty of pretty smart people who think he is simply wrong about this. … Producing all new energy with [wind, water and solar[ by 2030 and replacing the pre-existing energy by 2050. Barriers to the plan are primarily social and political, not technological or economic. 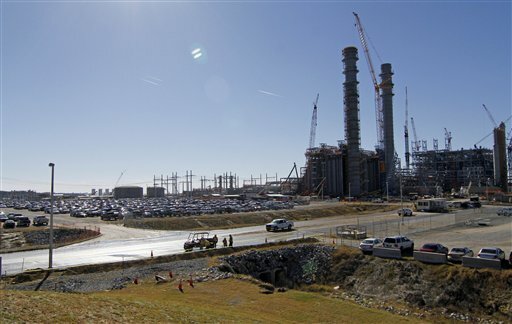 January 7, 2013 by Ken Ward Jr.
Georgia Power expects to request approval from the Georgia Public Service Commission (PSC) to decertify and retire 15 coal- and oil-fired generating units totaling 2,061 megawatts (MW), the company announced today. The request to decertify units 3 and 4 at Plant Branch in Putnam County; units 1-5 at Plant Yates in Coweta County; units 1 and 2 at Plant McManus in Glynn County; and units 1-4 at Plant Kraft in Chatham County, will be included in Georgia Power’s updated Integrated Resource Plan (IRP) that will be filed with the PSC on Jan. 31. Units 3-4 at Branch, units 1-5 at Yates and units 1-3 at Kraft are coal-fired generating units. Kraft Unit 4 is oil- or natural gas-fired, and McManus units 1-2 are oil-fired. Several factors, including the cost to comply with existing and future environmental regulations, recent and forecasted economic conditions, and lower natural gas prices contributed to the decision to close these units. 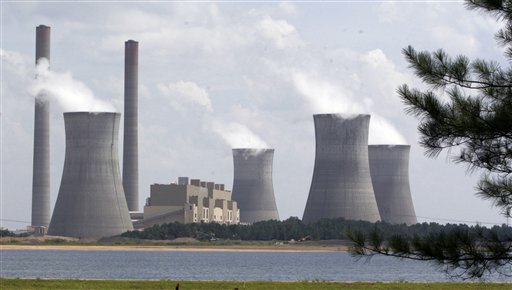 Additionally, the company will ask for decertification of Boulevard 2 and Boulevard 3 combustion turbine generating units in Savannah upon approval of the IRP, due to the costs to repair and operate the units. We recognize the significant impact that these retirements will have on the local communities and we took that into account when making these decisions. These decisions were made after extensive analysis and are necessary in order for us to maintain our commitment to provide the most reliable and affordable electricity to our customers. We are in the midst of a significant transition in our fleet that will result in a more diverse fuel portfolio – including nuclear, 21st century coal, natural gas, renewables and energy efficiency – to ensure we maintain our commitment for generations to come. In the woods of east Mississippi, a subsidiary of Atlanta-based Southern Co. is pouring billions of dollars into construction of a power plant that burns coal but would emit less carbon dioxide. 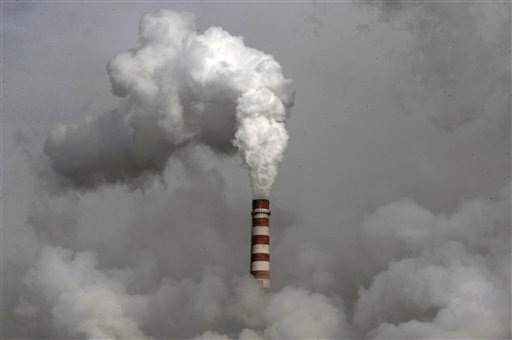 It’s a response to looming federal limits on carbon emissions as regulators try to curtail global warming. Each day, as 2,600 construction workers toil away at Plant Ratcliffe in Kemper County, the big bet becomes more expensive. The projected cost is at least $2.8 billion, almost half a billion dollars above original expectations, and some estimates say it will go higher. Legal challenges brought by the Sierra Club have led regulators to block the company from billing customers for the costs so far, although Southern subsidiary Mississippi Power Co. got closer to that goal with a favorable lower court ruling earlier this month. November 12, 2012 by Ken Ward Jr.
Fossil fuels remain the principal sources of energy worldwide, though renewables grow rapidly. Demand for oil, gas and coal grows in absolute terms through 2035, but their combined share of the global energy mix falls from 81% to 75% during that period. The unlocking of unconventional resources portends a very bright future for natural gas, which nearly overtakes coal in the primary energy supply mix by 2035. The United States will overtake Saudi Arabia and Russia as the world’s top oil producer by 2017, the West’s energy agency said on Monday, predicting Washington will come very close to achieving a previously unthinkable energy self-sufficiency. “The United States, which currently imports around 20 percent of its total energy needs, becomes all but self-sufficient in net terms – a dramatic reversal of the trend seen in most other energy importing countries,” it said. North America is at the forefront of a sweeping transformation in oil and gas production that will affect all regions of the world, yet the potential also exists for a similarly transformative shift in global energy efficiency. This year’s World Energy Outlook shows that by 2035, we can achieve energy savings equivalent to nearly a fifth of global demand in 2010. In other words, energy efficiency is just as important as unconstrained energy supply, and increased action on efficiency can serve as a unifying energy policy that brings multiple benefits. Our analysis shows that in the absence of a concerted policy push, two-thirds of the economically viable potential to improve energy efficiency will remain unrealised through to 2035. Action to improve energy efficiency could delay the complete ‘lock-in’ of the allowable emissions of carbon dioxide under a 2oC trajectory – which is currently set to happen in 2017 – until 2022, buying time to secure a much-needed global climate agreement. It would also bring substantial energy security and economic benefits, including cutting fuel bills by 20% on average. 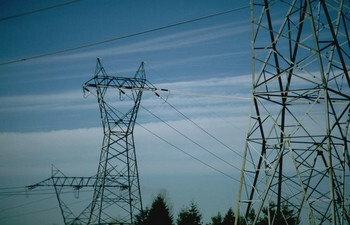 Power lines: Will W.Va. PSC step up on reliability? July 11, 2012 by Ken Ward Jr.
As West Virginians deal with the aftermath of a series of thunderstorms that swept through the state over the last two weeks, state regulators are quietly considering the first-ever targets for how utilities should minimize power outages and quickly get electricity back on for their customers. But officials from the state Public Service Commission’s staff and Consumer Advocate Division are concerned that plans proposed by the industry will do little to really improve the reliability of West Virginia’s electrical system. “Very little, if any improvement over the current issues causing outages will change and the infrastructure will continue to deteriorate,” wrote Donald E. Walker, a technical analyst with the PSC staff’s engineering division. You can read Walker’s report for yourself here, and I’d also recommend as interesting reading this previous PSC staff testimony regarding reliability issues, presented as part of the commission’s investigation into the last major West Virginia blackouts, during the December 2009 winter storms. There have been a few interesting pieces by mainstream media about these sorts of issues, such as this one about burying power lines by Taylor Kuykendall and Pam Kasey at The State Journal. And it wasn’t surprising that Pam Kasey appears to be one of the few in the mainstream media who understands the difference between electrical transmission and distribution lines. Luckily, we have a couple of citizen journalists here in West Virginia who have been digging through PSC filings and asking tough questions about electrical reliability issues in the wake of the storms. Heck, I stole most of today’s story from them. Just a couple examples of the interesting blogging that’s been done. Here is the second major WV blackout in three years. AEP and FirstEnergy get rate payer subsidies from FERC for giant interstate transmission projects, while WV politicians and PSC allow the same power companies to run our WV distribution system into the ground. There really isn’t much more to say. March 22, 2012 by Ken Ward Jr. Standing in front of a row of pipes, President Barack Obama pledged on Thursday to accelerate approval for part of the Keystone XL pipeline, seeking to deflect criticism that his rejection of the full project helped create a climate for high gasoline prices. We don’t want to be vulnerable to something that’s happening on the other side of the world somehow affecting our economy, or hurting a lot of folks who have to drive to get to work. That’s not the future I want for America. That’s not the future I want for our kids. I want us to control our own energy destiny. I want us to determine our own course. So, yes, we’re going to keep on drilling. Yes, we’re going to keep on emphasizing production. Yes, we’re going to make sure that we can get oil to where it’s needed. But what we’re also going to be doing as part of an all-of-the-above strategy is looking at how we can continually improve the utilization of renewable energy sources, new clean energy sources, and how do we become more efficient in our use of energy. That means producing more biofuels, which can be great for our farmers and great for rural economies. It means more fuel-efficient cars. It means more solar power. It means more wind power — which, by the way, nearly tripled here in Oklahoma over the past three years in part because of some of our policies. We want every source of American-made energy. I don’t want the energy jobs of tomorrow going to other countries. I want them here in the United States of America. And that’s what an all-of-the-above strategy is all about. That’s how we break our dependence on foreign oil. 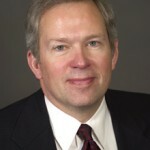 March 20, 2012 by Ken Ward Jr.
How can ratepayers and utilities best keep electricity prices affordable? Coal is often touted as a source of low-cost electricity, but some believe that coal’s negative environmental impacts outweigh any such benefits. Our analysis examines three different aspects of the cost of coal: coal’s impact on retail electricity prices, the estimated future cost of generating electricity with coal, and costs of coal generation not included in the retail price. By tracing changes in electricity prices in states that changed their energy portfolios we show that using more coal does not actually make power less expensive. States that reduced their use of coal-fired generators have not seen electricity prices rise, and states that increased coal use have not seen prices drop. Also, the estimated “levelized cost” of constructing and operating a new coal plant today is more expensive than generating the same amount of power from a new hydro or natural gas plant, and is comparable to the cost of wind power. 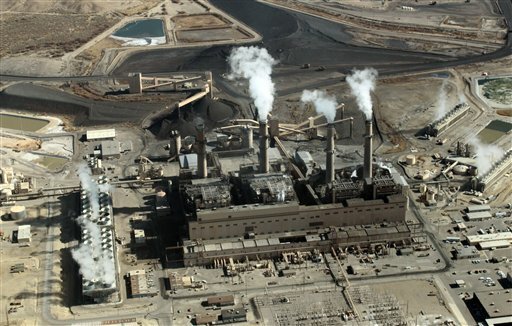 Finally, the cost estimates for coal-generated power fail to factor in the “externalized costs” of pollution cleanup, medical bills, and environmental damages borne by the taxpayers and the public. When these costs are included, coal-fired power is more expensive than all the other generation types we examined. It is a myth that switching to safe, renewable energy would mean an unreliable U.S. power supply that also is too expensive to afford. — Due in part to a significantly increased emphasis on energy efficiency, power sector carbon dioxide (CO2) emissions by 2020 would fall 25 percent below 2010 levels; by 2050, such pollution would be 81 percent below 2010 levels. Under status quo trends, CO2 emissions would grow 28 percent from current levels by 2050. — The steep health and environmental (including water use) impacts of coal-fired electricity are dramatically reduced and, by 2050, eliminated altogether when all such facilities are retired. For example, over 50,000 premature deaths are avoided relative to status quo trends linked to pollution from coal-fired plants. — The construction and operation of the new power plants in the first decade would create roughly 3.1 million new job-years – the equivalent of 310,000 people employed for the entire decade. — Natural gas use in 2050 would be reduced 28 percent from projected levels for 2050. — By retiring about one quarter of the existing fleet of nuclear power reactors and not building any new ones, the risks associated with nuclear power generation and the nuclear fuel cycle are reduced considerably. U.S. policymakers and others who assume that a safe, renewable energy future – including an end to reliance on coal-fired electric power and a sharply reduced reliance on nuclear power and natural gas – is impractical and too expensive for the U.S. to achieve are wrong. The truth is that America can and should embrace a workable and cost-effective future that is built on safe, renewable energy. Not only is it feasible and less expensive to do so, but we really have no other choice as a nation, given the concerns about coal emissions, natural gas ‘fracking,’ and nuclear reactor safety. The results of our new analysis are very encouraging. We find that a transition to efficiency and renewable energy for our electricity is likely to be less expensive than the business-as-usual status quo approach. There are indications now that the cost of replacing coal with clean energy is falling. The current and projected price of coal has increased, and the price of photovoltaic systems has fallen sharply since 2009, a result of unprecedented growth in this sector globally. Further, the financial community is placing higher risk premiums on technologies with carbon emissions, making renewable energy and efficiency more attractive. Without a bold change of policy direction, the world will lock itself into an insecure, inefficient and high-carbon energy system, the International Energy Agency warned as it launched the 2011 edition of the World Energy Outlook (WEO). The agency‟s flagship publication, released today in London, said there is still time to act, but the window of opportunity is closing. Growth, prosperity and rising population will inevitably push up energy needs over the coming decades. But we cannot continue to rely on insecure and environmentally unsustainable uses of energy … Governments need to introduce stronger measures to drive investment in efficient and low-carbon technologies. The Fukushima nuclear accident, the turmoil in parts of the Middle East and North Africa and a sharp rebound in energy demand in 2010 which pushed CO2 emissions to a record high, highlight the urgency and the scale of the challenge. In the New Policies Scenario, cumulative CO2 emissions over the next 25 years amount to threequarters of the total from the past 110 years, leading to a long-term average temperature rise of 3.5°C. China‟s per-capita emissions match the OECD average in 2035. Were the new policies not implemented, we are on an even more dangerous track, to an increase of 6°C. “As each year passes without clear signals to drive investment in clean energy, the „lock-in‟ of highcarbon infrastructure is making it harder and more expensive to meet our energy security and climate goals,” said Fatih Birol, IEA Chief Economist. The WEO presents a 450 Scenario, which traces an energy path consistent with meeting the globally agreed goal of limiting the temperature rise to 2°C. Four-fifths of the total energy-related CO2 emissions permitted to 2035 in the 450 Scenario are already locked-in by existing capital stock, including power stations, buildings and factories. Without further action by 2017, the energy-related infrastructure then in place would generate all the CO2 emissions allowed in the 450 Scenario up to 2035. Delaying action is a false economy: for every $1 of investment in cleaner technology that is avoided in the power sector before 2020, an additional $4.30 would need to be spent after 2020 to compensate for the increased emissions. The use of coal – which met almost half of the increase in global energy demand over the last decade – rises 65% by 2035. Prospects for coal are especially sensitive to energy policies – notably in China, which today accounts for almost half of global demand. More efficient power plants and carbon capture and storage (CCS) technology could boost prospects for coal, but the latter still faces significant regulatory, policy and technical barriers that make its deployment uncertain. Renewables increase from 13% of the mix today to 18% in 2035; the growth in renewables is underpinned by subsidies that rise from $64 billion in 2010 to $250 billion in 2035, support that in some cases cannot be taken for granted in this age of fiscal austerity. By contrast, subsidies for fossil fuels amounted to $409 billion in 2010. Here’s a link to the Associated Press account of this report and more on the issue from Joe Romm’s Climate Progress blog.